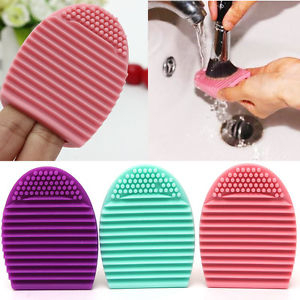 BrushEgg Makeup Brush Cleaner. 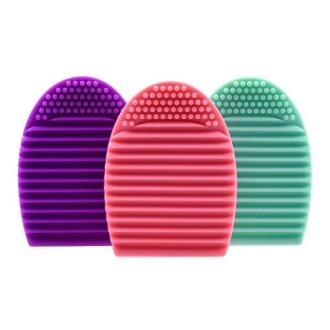 From the manufacture, "The BrushEgg is used to help with the deep cleaning process of makeup brushes. The BrushEgg is compact, quick, easy, affordable and effective!" 3" Across, 2" Wide, 1.5" Deep. Comes in colors: Pink; Hot Pink; Black; Lavender; Dark Purple.